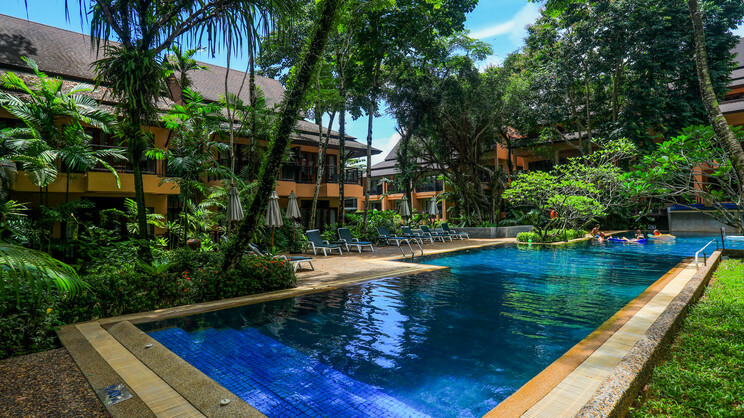 Settled within a peaceful forest, moments away from the dazzling white sands of Khao Lak Beach, this deluxe resort is poised for a heavenly holiday. 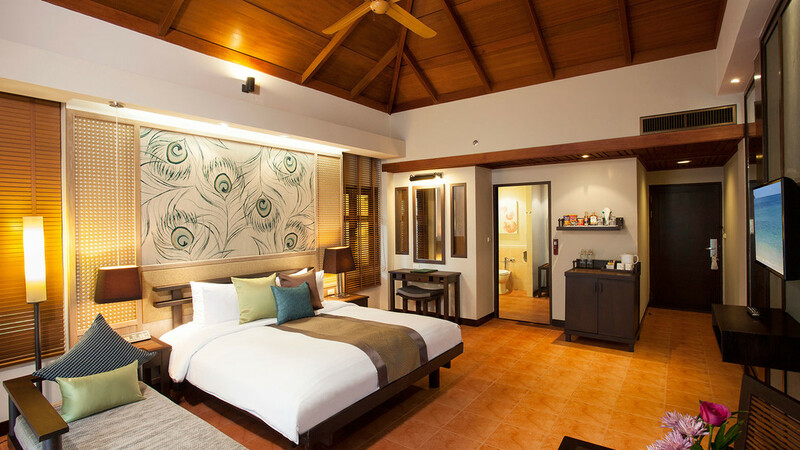 Featuring four fabulous swimming pools, a children’s pool with waterslide and an exceptional spa, Khao Lak Merlin Resort oozes opportunities for R and R around every corner. 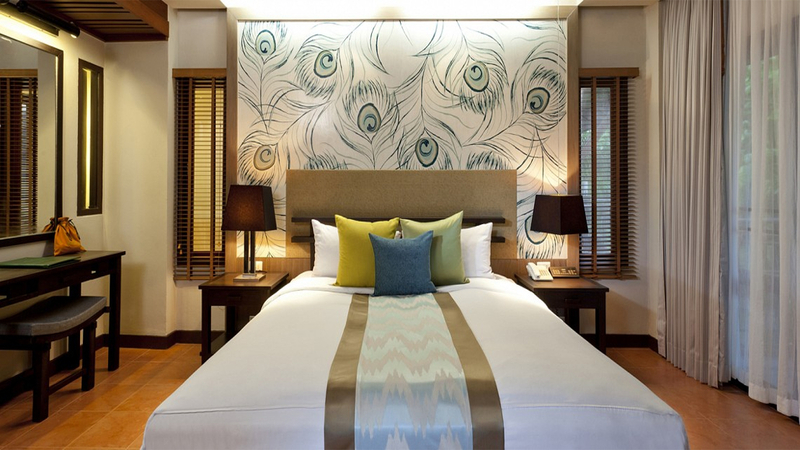 The tastefully decorated rooms are rich with Thai style, and complete with modern amenities. Guests can wander directly to the beach within minutes of getting up, to sip cocktails with the sand between their toes at the beach bar. When it’s time to dine, the Tropical Garden serves delicious local fare alongside international favourites and a good selection of vegetarian dishes. Breakfast here is beautifully accompanied by juicy exotic fruits and decadent pastries. Evenings are well spent at Veranda Beachside Restaurant, where succulent seafood can be munched with a magical sunset backdrop. Ideal for a luxury honeymoon, soaking in Thailand’s charm and enjoying the tranquil atmosphere of Khao Lak, this romantic resort could be your dream destination. Khao Lak Merlin Resort has direct access to a magnificent stretch of white sandy beach. There’s numerous restaurants and bars within a short walk of Khao Lak Merlin Resort. The centre of Khao Lak is approximately 10-minutes away, and the hotel offers a free daily shuttle bus. Other nearby attractions include Chong Fah Waterfall, Lam Ru National Park and of course James Bond Island makes an idyllic day trip from here. Phuket International Airport is approximately 60km away from Khao Lak Merlin Resort. If you choose to go all-inclusive at Khao Lak Merlin Resort, the programme generally consists of breakfast (06:30-10:30), lunch (13:00-15:00) and dinner (19:00-21:30), served in the main restaurant. During meals soft drinks, beer, water and wine are offered. Locally produced alcoholic and non-alcoholic drinks like water, wine, refreshments, soft drinks, beer, spirits, etc are served from 11:00-22:00 (except during meal times).